Bhimtal is a well-known town of Nainital district which is situated at an altitude of 1370 meters above sea level. Besides, it’s a nagar panchayat in the Nainital District and only 22 away from Nainital main city. Bhimtal is broadly recognized for Bhimtal Lake which has an island at its centre itself. Bhimtal is now not only known as a popular tourist destination but also become a mini district headquarter as maximum district administrative offices are shifted to this place. 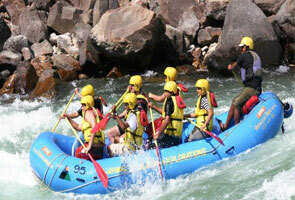 So, if you are preparing a list of popular tourist destination of Uttarakhand/India, then Bhimtal must be in your list. Bhimtal is a very ancient and popular destination of Uttarakhand. Majority of antique stories are associated with Bhimtal starting from Mahabharata. It is assumed that Bhima of Mahabharata visited this place during the vanvas (banishment) period of Pandavas. 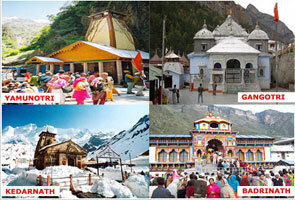 The place is also famous for an old Shiva temple named Bhimeshwara which is situated at the bank of Bhimtal lake. Later, this temple was modified by Baz Bahadur (1638-78 AD). Baz Bahadur is a king of Chand Dynasty. 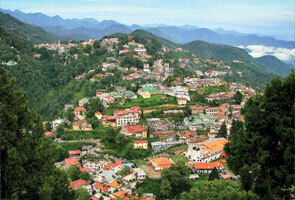 Bhimtal is an older city than Nainital; people assume this place as 150-160 years old. Today, this place is properly connected with major cities across India and thus has become main tourist attraction point. Month starting from April to October is considered as the best time to visit Bhimtal. You’ll find pleasant temperature during this time and evenings are more nice than day. In case you’re planning to visit this place during winter then availability of rooms in hotels are more due to less crowd. 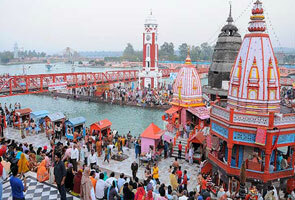 Month starting from March to May is considered as the summer season at Bhimtal. The maximum temperature you can find at this place during summer is 27 C. Cool atmosphere can be experienced during summer at Bhimtal which makes this place more ideal for sightseeing and excursion. You can find ultimate crowd of North Indian tourists during summer. Winter at Bhimtal starts from the month of October but in November you can find pleasant environment at this place. The maximum temperature can be counted here in winter is -3 C and maximum temperature 15 C. You can visit Bhimtal during winter but don’t forget to bring warm clothes. Awesome time to visit Bhimtal as it looks more beautiful during this time. You can expect Month starting in between the month of June to September. Climate are truly pleasant and considered as the best for couple. Cuisines of Bhimtal are lip-smacking and you can grab the test of varieties of dishes throughout the year. To provide you varieties of dishes, several multi-cuisines restaurants are available here; few of them are associated with hotels or resorts and many of them are separately situated. The mall road of Bhimtal can give you ultimate shopping experience as you will find several small shops those are ready to provide you varieties of products such as statues, jewelleries, carpets, wooden crafts work souvenirs and beautiful Garhwali paintings. Besides, you can also purchase several wooden handicraft items that are really eye-catching in look.